I tried this hand lotion once. You know, in malls and even in groceries, if there is a new product, they usually put one as a tester. I'm aware that I won't be able to see any difference after one application, so I finally bought it after the decision of switching back to NIVEA this year. 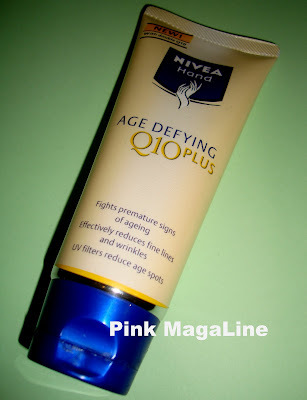 NIVEA Hand Age-Defying Q10 Plus contains in its quickly absorbed formula the skin’s own Co Enzyme Q10 Energy Complex and UV Filters. It prevents and visibly reduces first signs of skin ageing whilst caring very effectively for your hands. The valuable formula with: The unique Co Enzyme Q10 Energy Complex penetrates quickly into the skin, stimulating the skin’s own energy, thus supporting the cell functions and the skin’s ability to stay visibly smooth and firm. -The unique Co Enzyme Q10 Energy Complex penetrates the skin, stimulating the skin's own energy, thus supporting the cell functions and the skin's ability to stay visibly smooth and firm. -UVA /UVB Filters help to prevent premature skin-ageing and age-spots. 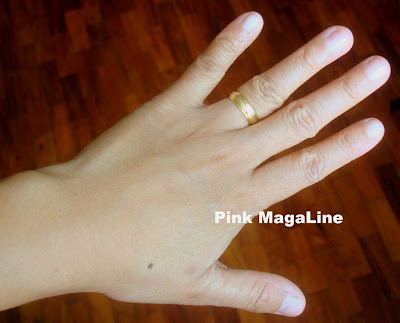 Enjoy naturally younger and smoother looking hands. Look at my hand here. This is a photo taken without the lotion. My hand is obviously dry and looking older. Check this second photo, taken after application. 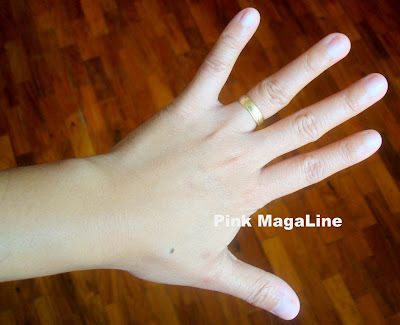 Here, my hand looks smoother and a bit younger. The result is amazing, right? So I guess I will have to continue using this product. akala ko naligaw ako dito...new LO kasi! Forever 21 Opens in SM Makati Soon! Let's Eat Fish and Enjoy the Healthy Benefits!